If life is a dream, when sleep ends, then naturally comes awakening. 50.1 Nibbana Patisamyutta Sutta 1 U 8.1 The full nirvana pericope. 50.2 Nibbana Patisamyutta Sutta 2 U 8.2 The “bent-free” (anata) nirvana formula. 50.3 Nibbana Patisamyutta Sutta 3 U 8.3 The “birth-free” (ajata) nirvana formula. 50.4 Nibbana Patisamyutta Sutta 4 U 8.4 The “non-dependent” (anissita) nirvana formula. 50.5 (Iti) Indriya Sutta It 3.2.3 The 3 faculties of final knowledge. 50.6 (Janussoni) Nibbana Sutta A 3.55 Nirvana as a personal experience. 50.7 Jhanabhinna Sutta S 16.9 The 9 progressive abodes of arhathood. 50.8 Maradheyya Sutta U 3.1.10 The nature of Mara in terms of existence. 50.9 (Catukka) Pariyesana Sutta A 4.252 = A:B 4.255 Ignoble quests and noble quests. 50.10 Bilangka Sutta S 7.4 The bad karma of harming the innocent returns to the doer. 50.11 Orambhagiya Sutta S 45.179 The 5 lower fetters and the eightfold path. 50.12 Uddhambhagiya Sutta S 45.180 The 5 higher fetters and the eightfold path. 50.13 Nibbanadhatu Sutta It 2.2.7 The 2 ways of viewing nirvana. 50.14 (Dasaka) Abhabba Sutta A 10.100 The 10 hindrances to attaining arhathood. 50.15 (Ananda) Sankhitta Dhamma Sutta S 35.86 To Ananda on awakening. 50.16 No Cedam Sutta S 14.33 The purpose of the spiritual life. 50.17 Sasankhara Patipada Sutta A 4.169 The 4 ways of attaining nirvana. 50.18 (Kamma) Ariya Magga Sutta A 4.235 The 4 kinds of karma in terms of result. 50.19 (Catukka) Samyojana Sutta A 4.131 The 3 kinds of saints (rebirth and existence). Sn 1.2 Worldly joy verses spiritual joy. 50.21 Ahimsaka Sutta S 7.5 Non-violent in word and in deed. 50.22 Jata Suttas S 1.23; S 7.6; Vism 1.1 – 1.8 Cutting the inner tangle. 50.23 Suddhika (Bharadvaja) Sutta S 7.7 Spiritual purity is the highest. 50.24 Bahudhitara Sutta S 7.10 Having nothing is true happiness. 50.25 (Navaka) Sanditthika Sutta 1 & 2 A 9.46; A 9.47 The state that is directly experienced. 50.26 (Navaka) Nibbana Sutta A 9.48 The progress to nirvana. 50.27 (Navaka) Parinibbana Sutta A 9.49 The progress to nirvana. 50.28 (Navaka) Tadanga Nibbana Sutta A 9.50 The progress to nirvana. 50.29 (Navaka) Ditthadhamma Nibbana Sutta A 9.51 The progress to nirvana. 50.30 (Navaka) Kayasakkhi Sutta A 9.43 The one who gains the formless attainments. 50.31 (Navaka) Pannavimutta Sutta A 9.44 The one liberated by insight wisdom. 50.32 (Navaka) Ubhatobhagavimutta Sutta A 9.45 The one liberated in body and mind. 50.33 (Kamma) Bojjhanga Sutta A 4.236 Karma and the awakening factors. 50.34 Navakammika Sutta S 7.17 The Buddha’s work is done. 50.35 Mahasala Sutta S 7.14 A father’s love, and gratitude. 50.36 Manatthaddha Sutta S 7.15 Respect to whom respect is due. 50.37 Paccanika Sutta S 7.16 Being open to others. 50.38 Katthahara Sutta S 7.18 The Buddha resorts to the forest awakened and joyful. 50.39 Matuposaka Sutta S 7.19 Filial piety and aims-receiving. 50.40 Bhikkhaka Sutta S 7.20 True purpose of living on alms (renunciation). 50.41 (Udaka Suddhika) Sangarava Sutta S 7.21 Purification through virtue, not ritual. 50.42 Khomadussa Sutta S 7.22 Goodness in high places. SD 50 b Back cover 20 reasons for translating the suttas. 51.0 Kammakarana Vagga A 2.1 – A 2.10 The significance of spiritual effort. 51.1 (Duka) Vajja Sutta A 2.1 Karma with present fruit and future fruit. 51.2 (Duka) Padhana Sutta A 2.2 The highest striving is the abandoning of all acquisitions. 51.3a (Duka) Tapaniya Sutta A 2.3 Avoiding practices that torment us. 51.3b (Iti) Tapaniya Sutta It 30 Practices that bring torment. 51.4a (Duka) Atapaniya Sutta A 2.4 Practices that do not bring torment. 51.4b (Iti) Atapaniya Sutta It 2.1.4 Practices that do not bring torment. 51.5 (Duka) Upannata Sutta A 2.5 Unrelentingly advancing in spiritual cultivation. 51.6 (Duka) Sannojana Sutta A 2.6 What holds us to suffering; what frees us from suffering. 51.7 (Duka) Vassupanayika Sutta A 2.10 The 2 rains-entries. 51.8 Sallekha Sutta M 8 Self-effacement and its true purpose. 51.9 Citta Hatthisariputta Sutta A 6.60 The dangers of a monastic socializing. 51.9(1.3.2) Avila Udakarahada Sutta (download file from the above link) A 1.5.5 A clouded mind will not awaken. 51.9(1.3.3) Accha Udakarahada Sutta (download file from 51.9 above) A 1.5.6 A clear mind will be able to awaken. 51.10(2.3.1) Sangiti Sutta D 33,2.1(19) The 5 mental barrennesses. 51.10(2.3.2) Sangiti Sutta D 33,2.1(20) The 5 mental bandages. 51.10a (Pancaka) Cetokhila Sutta A 5.205 The 5 mental barrennesses. 51.10b (Navaka) Cetokhila Sutta A 9.71 The 5 mental barrennesses are overcome by the 4 satipatthanas. 51.10c (Pancaka) Cetaso Vinibandha Sutta A 5.206 The 5 mental bandages. 51.10d (Navaka) Cetaso Vinibandha Sutta A 9.72 The 5 mental bandages are overcome by the 4 satipatthanas. 51.11 (Suttanipata) Padhana Suttas Sn 3.2 The Buddha’s great striving for awakening. 51.12 (Khetta) Desana Sutta S 42.7 The 3 fields and the Buddha’s priorities. 51.13 (Bojjhanga) Aggi Sutta S 46.53 Overcoming sluggishness and agitation. 51.14 (Pancaka) Padhana Sutta A 5.53 The 5 supports for spiritual endeavour. 51.15 Samayasamaya Sutta A 5.54 The best conditions for spiritual striving. 51.15(1.2a) Dullabha Vuddhapabbajita Sutta 1 A 5.59 The 5 qualities difficult to find in one who renounces when old. 51.15(1.2b) Dullabha Vuddhapabbajita Sutta 2 A 5.60 The 5 qualities difficult to find in one who renounces when old. 51.16 (Catukka) Appassuta Sutta A 4.6 Learning and spiritual progress. 51.17 (Catukka) Sobhana Sutta A 4.7 How a community is corrupted or beautified. 51.17(1.1) (Pancaka) Sobhana Sutta A 5.233 The 5 qualities of a monastic renunciant. 51.17(2) (Catukka) Parisa sutta 2 A 4.211 The corruptors and the beautifiers of an assembly. 51.17(3.4) (Tika) Parisa Sutta. A 3.132 The 3 kinds of assemblies in terms of training. 51.18 Asamsa Bhikkhu Sutta A 3.13 Who we are, what we are, and beyond. 51.19 (Catukka) Vesarajja Sutta A 4.8 The 4 certain qualities of the Buddha. 51.20 (Catukka) Sancetana Sutta A 4.171 Karma is rooted in ignorance and often occurs without our knowledge. 51.21 (Catukka) Padhana Sutta 1 A 4.13 The 4 right strivings. 51.21(2) (Catukka) Padhana Sutta 2 A 4.69 The fourfold dynamics of spiritual striving. 51.22 Patthana Sutta 1 A 5.135 The true purpose of renunciation. 51.22(2) Patthana Sutta 2 A 5.136 The true purpose of renunciation. 51.23 Sarabha Sutta A 3.64 A wanderer tries to degrade the Dharma and the Buddha’s response. 51.23(1.2) Gitassara Sutta A 5.209 Why the texts should not be chanted in a musical manner. 51.24 Utthana Sutta Sn 2.10 The most urgent task of spiritual cultivation. 51.25 Arakkheyya Sutta S 7.55 The Buddha has nothing to hide. 51.26 (Tika) Bhaya Sutta A 3.62 Understanding and overcoming the suffering of separation. 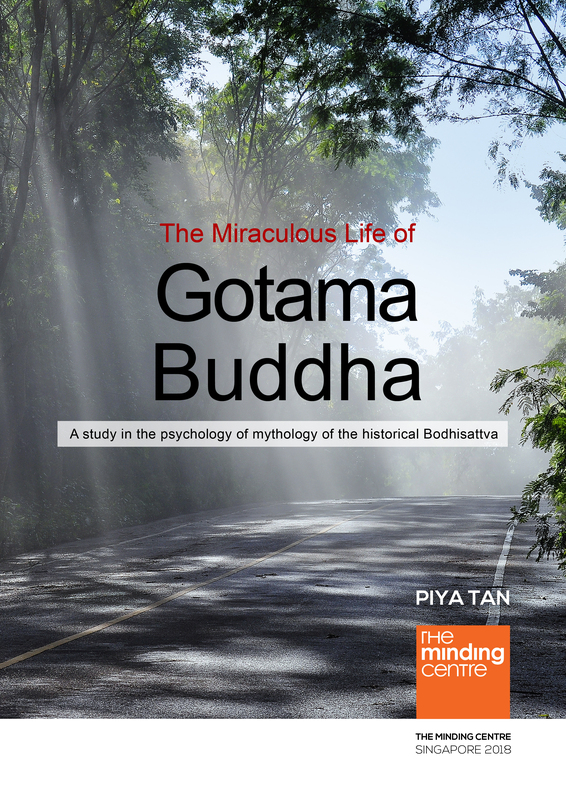 Miraculous life of Gotama Buddha E-book A study in the psychology of mythology of the historical Bodhisattva. 52.2 Acchariya,abbhuta Sutta M 123 The miraculous qualities of the Buddha. 52.2a Acchariya,abbhuta Sutta 1 A 4.127 Boundless radiance in Buddha’s life. 52.2b Acchariyaabbhuta Sutta 2 A 4.128 Overcoming attachment, conceit, etc. 52.2c Acchariya,abbhuta Sutta 3 A 4.129 Ananda’s 4 charismatic qualities. 52.2d Acchariya,abbhuta Sutta 4 A 4.130 Ananda’s charisma is like a wheel-turner. 52.2ff (Udana) Satta Sutta 1 U 7.1 How not to be stuck to suffering. 52.2g (Udana) Satta Sutta 2 U 7.2 Lust blinds and traps us. 52.3 Kesi Sutta A 4.111 How the Buddha trains his disciples. 52.4 (Sotapatti) Ananda Sutta S 22.83 Punna Mantaniputta and Ananda’s attainment of streamwinning. 52.5 Vanapattha Sutta M 17 On the conduciveness of monastic dwellings. 52.6 Maha Gopalaka Sutta M 33 Parable of the bad and good cowherd. 52.7 Dhanuggaha Sutta S 20.6 Life is brief: strive on heedfully. 52.8a Rohitassa Sutta 1 A 4.45 The world’s end cannot be reached by going. 52.8b Rohitassa Sutta 2 A 4.46 The world’s end cannot be reached by going. 52.9 Samudda Sutta 1 S 35.187 Our senses are like an ocean. 52.10a Raga Sutta 1 It 68 Greed, hate, delusion are Mara’s traps. 52.10b Raga Sutta 2 It 69 Our negative emotions are the raging ocean. 52.11 Nadisota Sutta It 109 Our negative emotions are like a river current. 52.12 Aggikkhandhupama Sutta S 7.68 Renunciants should be worthy of their offering. 52.13f Nagaropama Sutta A 7.63 The spiritually disciplined is like a citadel. Theme: seeing true reality frees us from itself. 53.1 Gavampati Sutta S 56.30 Penetrating any of the 4 truths, penetrate all of them. 53.2 Andhakara Sutta S 56.46 The dark interstices of outer space. 53.3 Tevijja Vacchagotta Sutta M 71 On the Buddha’s knowledge and salvation. 53.4 (Digha) Mahali Sutta D 6 The true purpose of the spiritual life. 53.5 Dittha Suta Muta Vinnata Essay The 4 means of cognition. 53.6 Vohara Suttas A 4.247-250 & A 8.67-68 Wrong ways and right ways of speaking. 53.7 (Vangisa) Arati Sutta S 8.2 Self-counselling a lustful mind. 53.8 Maha Saropama Sutta M 29 Worldly success is not spiritual progress. 53.9 Cula Saropama Sutta M 30 Spiritual goal is not acquisition but awakening. 53.10 Kimsuka Sutta; Kimsukopama Jataka S 35.204; J 248 True teachers teach according to the manner of their awakening; 4 different means to the same awakening. 53.11 Miccha Ditthi Sutta; Micchaditthi Pahana Sutta S 22.153; S 35.164 Wrong view is the grasping of views; overcoming wrong views. 53.12 Sakkayaditthi Sutta; Sakkayaditthi Pahana Sutta S 22.154; S 35.165 Self-identity view is the grasping of craving; overcoming self-identity view. 53.13 Attanuditthi Sutta S 35.165; S 35.166 Self-view is the grasping of conceit; the 6 senses are non-self. 53.14ab (Avyakata) Vacchagotta Suttas S 44.7 & S 44.8 Vacchagotta questions Moggallana and the Buddha on the declared. 53.15 Papata Sutta S 56.42 Fully understanding the 4 noble truths brings full awakening. 53.16 Parilaha Sutta S 56.43 Ignorance of the noble truths is worse than great hell-fire. 53.17 (Sacca) Kutagara Sutta S 56.44 Penetrating the 4 truths, we overcome suffering. 53.19 (Dasaka) Sariputta Sutta A 10.7 Sariputta’s experience of samadhi. 53.22 *Khandha Annana Suttas S 33.1-5 Ignorance of the 5 aggregates and the 10 theses. 53.23 (Vacchagotta) Sabhiya Kaccana Sutta S 44.11 The awakened after death. 53.24 Khana Sutta S 35.135 Now is the time to practise the Buddha Dharma. 53.25 (Sacca) Tathagata Sutta S 56.12 All the buddhas discover the same 4 truths. 53.26 (Sacca) Khandha Sutta S 56.13 The 4 noble truths are about the 5 aggregates. 53.27 (Sacca) Ajjhattikayatana Sutta S 56.14 The 4 truths are about the 6 senses. 53.28 Pathama Dharana Sutta S 56.15 Remembering and reflecting on the 4 noble truths. 53.29 Dutiya Dharana Sutta S 56.16 Rightly remembering the 4 noble truths. 53.30 (Sacca) Avijja Sutta S 56.17 The greatest ignorance is that of the 4 noble truths. 53.31 (Sacca) Vijja Sutta S 56.18 Fully understanding the noble truths brings awakening. 53.32 Sankasana Sutta S 56.19 The profundity of the 4 noble truths. 53.33a Tatha Sutta 1 S 56.20 On the certainty of the 4 noble truths. 53.33b Tatha Sutta 2 S 56.27 On the certainty of the 4 noble truths. 53.34 Kotigama Sutta 1 & Bhavanetti Sutta S 56.21; S 23.3 Ignorance of the 4 noble truths keeps us in samsara. 53.35 Kotigama Sutta 2 S 56.22 The 4 truths are the true meaning and purpose of life. 53.36 (Kotigama) Sammasambuddha Sutta S 56.23 An arhat masters the truths. 53.37 (Kotigama) Arahanta Sutta S 56.24 All buddhas awaken with the 4 truths. 53.38 (Kotigama) Asavakkhaya Sutta S 56.25 The truths destroys the influxes. 53.39 (Kotigama) Mitta Sutta S 56.26 Teach the 4 truths to the near and dear. 53.40 (Kotigama) Parinneyya Sutta S 56.29 The 4 truths should be comprehended. 53.41 Jaliya Sutta D 7 The true purpose of religion and the spiritual life.